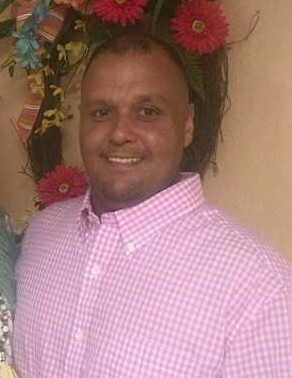 Mr. William “Lil Wil” Locklear, age 39 of Maxton departed this life on March 19, 2019. He was born December 28, 1979 in Scotland County. He is preceded in death by his mother, Loshie Locklear and father, Grady Locklear and his biological father, Timothy Hunt. Funeral services will be at 3:00 p.m., Sunday, March 24, 2019 at the Richard Boles Funeral Service Chapel with burial following in the Chavis, Locklear and Freeman Family Cemetery. William worked as a bridge builder with the Carolina Bridge Company for many years. He loved going to church, hunting and riding his motorcycle. His greatest joy was sharing time with family. A devoted husband, loving son, brother and uncle, Lil Wil will forever be missed. He is survived by his wife, Alicia Locklear and five children, Kamron, Kaedance, Kellie, Kaya, Brittany all of Maxton; biological mother, Laura Freeman (George); brothers, Bobby Freeman (Dedria) and Dakota Hunt; sisters, Latasha Chavis, Holly Bullard and a brother-in-law, Trent Chavis along with a host of special aunts, uncles, his many nieces, nephews, family and friends. Special acknowledgements to Dr. Barry Davis and Dr. Kenneth Locklear for their devoted care of William along with his care givers, father and mother-in-law, Michael and Jane Chavis, Darlene Quick, Francine Henderson, Genia Hunt, Kristi Hyatt and Brandy Kelly.A time of visitation will be from 6:00 until 8:00 p.m., Saturday, March 23, 2019 at Richard Boles Funeral Service.